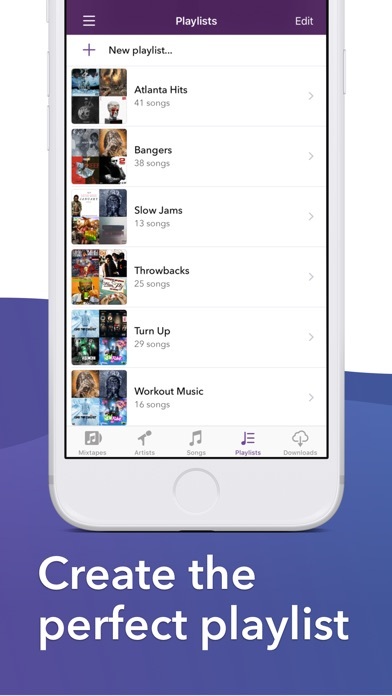 Spinrilla, the 800-lb gorilla of hip-hop mixtapes. 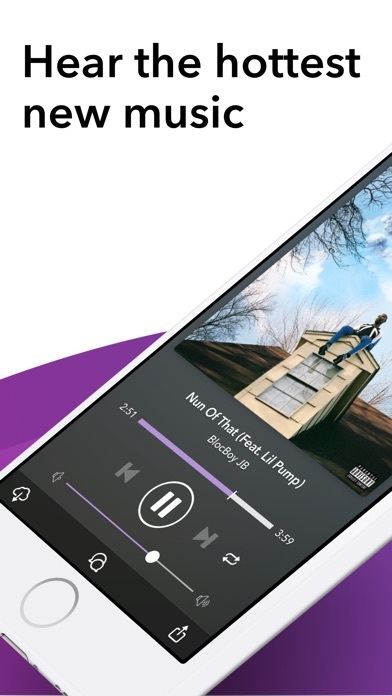 Spinrilla is the world’s first mixtape music app, giving you all hip-hop, all the time. Discover independent and emerging hip-hop artists and hear the next big track before anyone else. 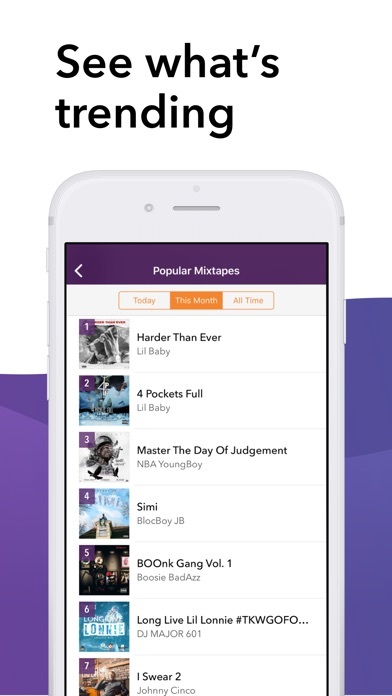 Spinrilla puts one of the world’s largest catalogs of independent hip-hop in the palm of your hand, with new music added daily from your favorite underground artists. • Watch exclusive music videos, interviews, & documentaries from your favorite artists including original content from Spinrilla. • No internet? No problem. Offline mode allows listening to music when an internet connection isn't present. • Music & playlists sync to your Spinrilla account. Log in to a different device and have your Library at your fingertips. • Peep the charts to see what's trending today. • Follow your favorite artists and get a notification the second they drop new music. 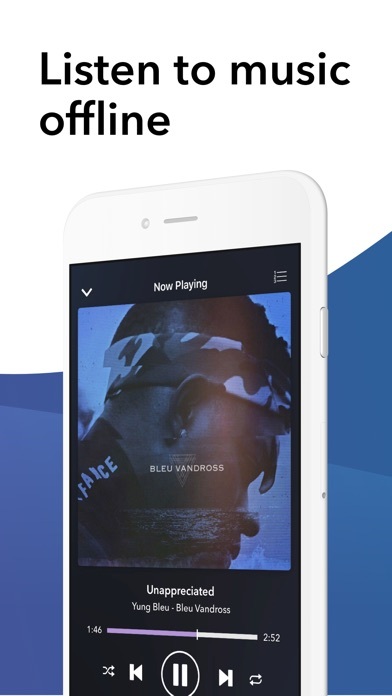 • Spinrilla Radio helps you discover new music that you may have been sleeping on! • Listen to limitless music. Subscribe to a 'Pro Membership' for the best listening experience. Pro Memberships are $0.99 (USD) / 1.19 (CAD) / 13.00 (MEX) / 1.29 (AUS) / 1.29 (NZD) / 100 (JPY) / 0.99 (Euro) / 0.99 (CHF) / 9.00 (NOK) / 0.79 (GBP) / 8.00 (DKK) / 9.00 (SEK) / 6 (CNY) / 1.28 (SGD) / 8.00(HKD) / 30 (TWD) / 59 (RUB) / 1.99 (TRY) / 60 (INR) / 12000 (IDR) / 3.50 (ILS) / 11.99 (ZAR) / 3.69 (SAR) / 3.69 (AED) per month. Payment will be charged to iTunes Account at confirmation of purchase. Subscription automatically renews unless auto-renew is turned off at least 24-hours before the end of the current period. The Subscription duration is one calendar month. 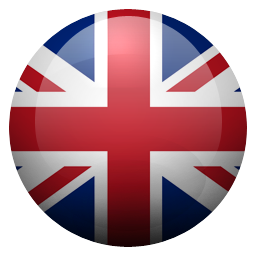 The Subscription is renewed automatically on a monthly basis and can be cancelled at any time. The subscriber's iTunes Account will be charged for renewal within 24 hours prior to the end of the current period. Subscriptions may be managed by the user and auto-renewal may be turned off by going to the user's Settings after purchase. For more information please view the Terms of Service located at https://spinrilla.com/tos. Follow @Spinrilla on Twitter for more updates. All content on Spinrilla is provided by artists and is strictly for promotional use only. This app is Great and allows me to enjoy my music care-free. The only request i have is that the developers make an update for iPhones that allows the app to be turned sideways. This would allow me to enjoy the application even more and if there was a 6-star option, I would most definitely choose it. Had to make a new account. I had an iphone 6s+ that had about 3-4 years or songs and mixtapes and when I upgraded phones to a IPhone XR I tired to log in to my account and it’s said I have no account. I did everything ( forgot password) and email and stuff and it said I could be found. Now I have to start all over again. I've been using Spinrilla for a good four years now, but these recent updates have done nothing but degrade this app. Songs i download can only be played online now and when I put songs on shuffle they don’t play continuously. I literally have to open the app back up and play the song myself. What’s going on?!?!??! Fire all around. Improved a lot since I last had the app . Why can’t I listen to my music that’s already been downloaded nomore? The newest update is awful. Please change it back to where you can hit download and choose the songs you want to download rather than having to add the whole mixtape to your library before you can download individual songs. This app was great now it’s going downhill! This app was great, but now, there are a few downsides. First off is why are the old mixtapes being block, some of them you can’t even get anymore cause they took it off their sever. Second is - all the classics from back in the day by popular artist are block, like you can’t even play the songs. 3rd-hip hop is big I kno. But now the app is constantly covered by this young boy rap. There’s no grown Man section in this app anymore? Please fix this. Like I said before this was a great app but in my opinion it’s getting destroyed. Bring back recently added section. Can we plz get a play next feature. Been waiting to long for it. It’s a good app but it’s starting to crash more. I’ll be listening to a song or looking for a new song or album to listen to then it’ll just freeze. What’s goin on? it says i have zero mixtapes but all thousand songs i added over the years are all in the library under singles now... i hope it gets fixed soon. I’ve had this app for years and at first it was great, my favourite app ever! But after the update it won’t show any of my downloaded music or songs in my library, I have to readd the songs I like every time I open the app. Why tf do I need WiFi to play my music? It would be so much better if I didn’t have to need WiFi to play my music💯. Y’all need to change that maybe people would actually like and download this app!!! I gave this on star because it has bootleg music and never the original song ,at least for the 50 songs i searched for I used to love this app but not any more .what happen to the old Spinrilla? Idea though you should make a spinrilla app for artist. Please let everyone upload without a host!! They took off offline feature. i’ve been using this app for 4-5 years + it was great , in the newest update it doesn’t play all my songs on shuffle and when i press shuffle it’ll shuffle to the same exact song every single time in the “G’s” update it please because i planned on switching to apple music or spotify because of this problem. y’all need to include where you can see your deleted songs !!! it would be the best app with this please include this 😩!! Good but crashes a lot. This app is dope but just recently I notices that it start to crash a lot whenever I’m use the app to listen to Muzik for a lil while. This app is a godsend. It might not be perfect, but putting so many mixtapes in one place for free is amazing. No complaints here. 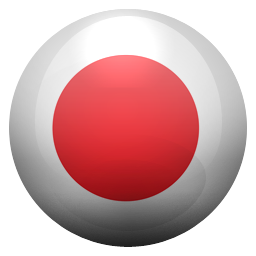 This app is really good, I haven’t really had any problems using it. Just one thing to add to the app is to add equalizer so we can change the bass and allat. Spinrilla deleted all of my mixtapes from being visible after the update fix now!!!!!! Great rap music options... ones that are not even on Apple Music! Shuffle doesn’t play all my songs. Plays about 20 songs and cuts my music off. Other than that this app is where its at. Has every song that I can’t be found in amazon or iTunes! And can listen offline!! After an update, all of the songs i had were no longer able to stream. Can Ya'll Stop Playing Ads Everytime I Pause My Music? Kay Thanks . It's Fuxkin Annoying . And Stop Playing Ads OVER My Music When I Pause It And UnPause It THANK YOU IT'S MAD ANNOYING . Why can’t I download when I press download? You guys shoulda change spinrilla to where you can change the speed of the song ! The new update is complicated change it back !!! I’ve always loved music and enjoy listening to raw or new talent stepping into the music arena. It’s awesome to have a platform where I can enjoy the full scope of doing just that. A lot of it is JUNK and should only entertain their friends with it. But when you hear that gold nugget hit in a river of music pebbles. Play it for “Music Minions” (people that just hear the music, but don’t really listen to it.) and watch-’em jump off or head bouncing to it. That’s what I love about good music, it possesses the amazing power to universally move people. Keep it coming... I LOVE IT! I don’t know if it is the app or my phone’s processing, maybe I have too many songs; when I first got the app it was a 5-star app I got all the underground music I listen to and discovered new music I enjoy as well, the more music I streamed the slower the app ran and it is to a point where the app takes several minutes before I can even choose a song. I love the app and have had it for years on several generations of cell phones and tell all my friends about it when asked about a music app. Only rated 1 star so you’d read my problem i don’t know how else to report such an issue, so please contact me back on a way I could possibly fix my problem. Great app and easy to find hot new artists and music. This app is great I can use it to download all my music. And then i can play it offline. Or can I? I know i can but it really seems like i cant because of how slow the app is. It takes like one minute to just get to your library. This may be because of my phone but I doubt it because i have an iphone 6 all the way updated. Sometimes it comes to a point where i have to close the app and come back in because the songs crash and it wont let you exit the song. If this slowness wasnt here this would be a five star. 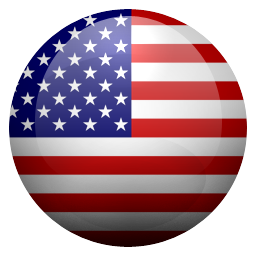 But you cant really navigate through the app in the first place so unfortunately this will have to be 2 stars. I've had Spinrilla for over 2 years. This is my go to app when it comes to music. For some reason lately, when I am on the page where it's showing the cover art when I'm playing a song, I can't click back on the upper left hand side button to go back to my library for songs. It won't let me. Therefore, I have to click my home button and open up the app again just to pick a new song. It's irritating. I hope that you look into this further and fix the problem. I'd hate to not be able to use Spinrilla anymore. I had an iPhone 6s for 2 years and had all my song from that time period on there. A few months before I was supposed to get my new phone you guys came up with an update for saving the music that was in your library. I have had my iPhone X since Christmas and I still have a quite a few songs that my downloader skips over and won’t download. Can you please fix this bug so I can have all my music back. Other than this great app with great music. So I’ve had Spinrilla for over a year now and I knew that once I got a new phone, all my music would be deleted. That’s okay considering I don’t have much music anyways. So when I finally got my new phone, I searched for the songs I had before. But I couldn’t get all them back. Most songs I had no issue with, but some of the songs have either been taken off, chopped & screwed, slowed down, etc. these songs were on my phone for a year & now the normal versions are gone?! Please fix this, I would love to have ALL my music. This Apps is really the quintessential service for mixtapes and hip hop not on iTunes. But the biggest issue with this platform is the fact that EVERYTIME I click to go somewhere an add wants to pop up that's the full size of the screen right when I need to press something. This makes is dangerous for when I'm trying to pick songs and drive (yeah oxymoron) and just plain annoying when I want to choose a next song. On the upside, there aren't commercials between my tracks like SoundCloud... please fix this Spinrilla. I’ve had this app for a few years, and the only problem that’s been coming is the amount of space the app takes when i have to update my software. Now the biggest issue i have is when i last updated, i decided to delete this app just for the space and felt comfortable doing so because i have an account. But now that I’ve signed back in, NONE of my music is accessible. So I’d have to re-download every song? This is a simple thing that’ll make people stop using an app. I see when I update this app it says bugs have been fixed n I’ve been with this app for more than 3 years and every Time I plug my phone up in my car, the album cover keeps on blinking and the number of tracks I originally have, just shows on display that the track numbers keep rising. Sometimes the songs I play skips as if I’m using a CD player. This never happened before til like a year ago. I can still listen to my tracks but those bugs have to be fixed. Why should we have to sign in if the music we have saved and downloaded isn’t on the “account” when we get a new phone or delete and reinstall the app?? If I’m signing into my own personal account, my personalized playlists and downloads should be saved, no matter what. It’s really annoying to have to REdownload every single song and mixtape. It’s really something that’ll cause me to stop using this app. I've been using this app for as long as I can remember probably since the iPhone 4 never really had a problem or concerns just would like if possible if you could stay up on the current mixtaps and songs on everybody and even old songs. There a lot of old songs I try to download and you guys don't have them or just the chopped n screwed version but other than that it's great. Man, I've never written a review for any app, and I had to write one for Spinrilla. This app has had EVERY track I've been in search for, and always in great quality. Not to mention it loads up super fast and you can access all of your downloads offline, so you can listen to the music regardless of if you have connection or not. I love this app. I have no problem with the app but when I click the app to open it the app would not load to show me the explore page or the singles page so I thought maybe it’s just my phone so I deleted the app and downloaded it back and I tried to log in and it’s not letting me. I don’t know if it’s a problem with anybody else but it is with me. I love the fact that you all now let us be able to log in another device and be able to download songs. However we can’t download songs that we already had. I understand they may not have it available but if you already had it once before we should be able to keep them. I love music and would recommend this app to anyone but that should really be fixed. This app has most of what I’m looking for but when I first downloaded it I spent hours on it searching and downloading music so I thought. But when I opened the app again there wasn’t even half of the music I downloaded in my library!!! And it still continues to do this!!!! I tried once again since I’ve gotten a new phone and still won’t download all the music I’ve try to download!!!! Getting really frustrated!!! May just delete it!!!! 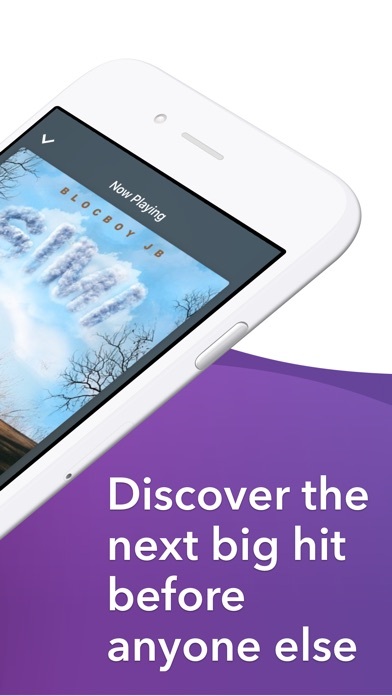 You used to have to listen or watch an ad navigating through the app which was annoying but I could deal with it but now everytime you pause your music outside the app or while your phone is locked it plays an ad, everytime. Very annoying the whole point of me pausing the music is to hear whats going on around me, other than that the app is cool. This app is really good for the most part. I just wish that certain songs wouldn’t crash after one second and I also wish they had a larger variety of songs to download. I know it’s to discover new music and underground stuff but if it had a larger bar I think it would attract more people. Never really had problems with the app , but recently , everytime Im listening to music and I click the home button to check my messages or hop on social media , the app just glitches and shuts off , I can't click the home button or let my phone go to sleep mode because the music would stop and the app would crash. Best mixtape/ rare track/ underground hip hop. I don’t think there’s a better app for mixtape hip hop. You’re not gonna find full catalogs of hip hop titans from the 90’s but you can find that anywhere. What you will find is songs you never heard before from more underground artists. I’m a huge fan of A$AP Ant, Spinrilla has the most Ant songs in one place I’ve ever seen. Love the app but I have a suggestion. Can you do something with the repeat button. When I’m listening to a playlist I made it will play to the end but I will stop right there, it won’t go back to the beginning. I would like the 3 options button if you know what I’m trying to say. I love this app so much but with the new update I'll click on a song and hit shuffle but after that my screen freezes up and i can't go back to my playlist to choose another song. Could y'all look into this please? This update is trash! Every time I try to play a song that isn’t downloaded, it crashes the app. The new set up is trash, and I’m confused on the new option on the bottom of the song. Sometimes it tell me I’m offline so I can’t listen to the song, but I’m using my WiFi. You can’t swipe down anymore it only shows you the other songs downloaded from that mixtape or all the songs from the mixtape. I don’t like this new update, please make the next update like the previous update. The Spinrilla app was recommended to me a little while ago and I doubted it so I never tried it. I finally tried and fell in love. My favorite feature is not having internet or WiFi and still listening to your fav music. If I could I would give this app 10 stars. Keep up the good work!! Love this app reason I’m hoping a few added features could be added. Like videos of artists music and in playlist give the owner the ability to put songs in his or her own order, instead of alphabetical order. Adding EQ band would t be bad also. Please consider in next update. Thanks! I use is Spinrilla and Apple Music for alllll of my music. No other apps have been necessary for finding the music I want to hear. Been using rilla for at least 4 years over the course of 3 phones. I have over 4gb of music on this app alone. 5/5 would recommend. I’ve been downloading music from spinrilla on my iPod since middle school and I’m a junior in college now 😂 it’s the old version of the app and it has 4 gb of music on it and still works quick asf. Not to mention it has the best music way better than overplayed radio hip hop. Artists constantly upload singles to Spinrilla. Once they upload a new song the old song is gone. There should be a way for us to look at all of an Artist's UPLOADED singles (not those bootleg DJ one). Have a drop down list or some type of category just how yall have their mixtapes. This is a fantastic music app. Really has a lot of music except for specific ones but I have other apps for that. And a lot of underground stuff too. I'm not gonna lie though I prefer the old picture with the monkey. That was pretty fire but it's not that serious. I'm not feeling this sprinrilla update at all. When I try to click the arrow or change the song, it doesn't work, like the screen has frozen up or something. So I have to close and restart the app. Please fix this issue. The problem I am having is , I can't sign in to my original account so I decided to make a new one and neither would work. It kept telling my to try again later. I actually took the app off the phone a re-downloaded the app and the same problem occurs. Can you guys look in to fixing this please ? Thank you. Im giving this 5 stars because it really does play offline and thats what I need but please add more songs i am a fan of jem and the holograms (the 80ds television show ) and there are none of the songs . and theyre is a ton of other songs that should be on the app that are very popular.